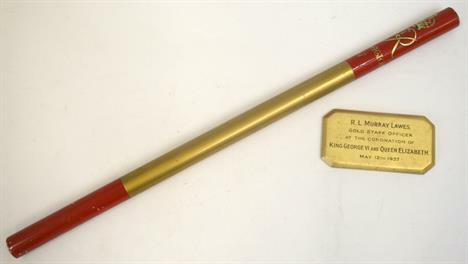 1937 Coronation 'Gold Staff Officer's' baton. Recently purchased. 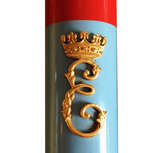 A 1937 Coronation Gold Staff Officers Baton. King George VI monogram and 'Coronation 1937' underneath. Accompanied by a gilt wooden plaque indicating this belonged to R. L. Murray-Lawes. 2nd Lieutenant R. L. Murray-Lawes served with 2nd Company, 4th Battalion, Grenadier Guards during the First World War. as the Baton they also wore a gold wool armband with a high quality finish. to Marshal the Coronation procession inside Westminster Abbey. the outbreak of the second world war, he gifted to the Ministry of War. Whoops.....don't know how I have managed to do that with the text!!!! A very intersting and rare item Ross, thanks for showinf it as I had never seen or heard of these before this. These are not uncommon objects - however, what is rare is that he took the trouble to put his details with the mounting. 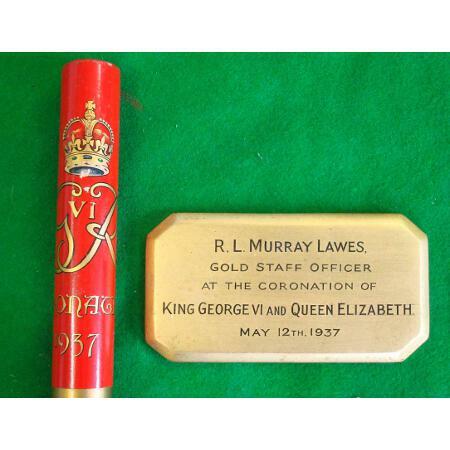 There have been Ushers' Staffs for QE2, G6th , GVth, Edward 7th, Queen Victoria , Wm.4th, G4th and I think G3rd. Thanks for the information Mervyn. One of the main attractions for me was the fact that it had provenance. Would be nice now to try and find other rank different coloured staffs.....and perhaps the arm bands that were also worn. There are a couple of chips to the paint, so may look to follow your suggestions of protecting it with a layer of varnish. was later Edward 7th. He appoints the Gentlemen - who can be officers or civilians - to be the Ushers on all of these occasions. Hi Mervyn. 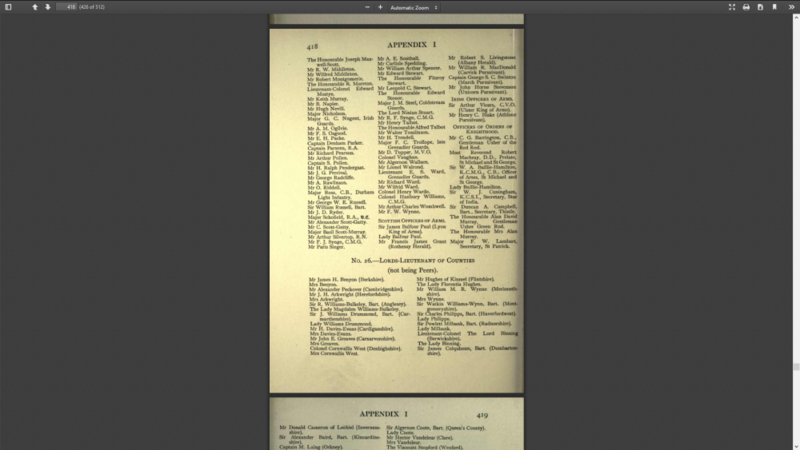 I have downloaded some photos and text taken from the website of 'The College of Arms' relating to the planning of a Coronation at Westminster Abbey. 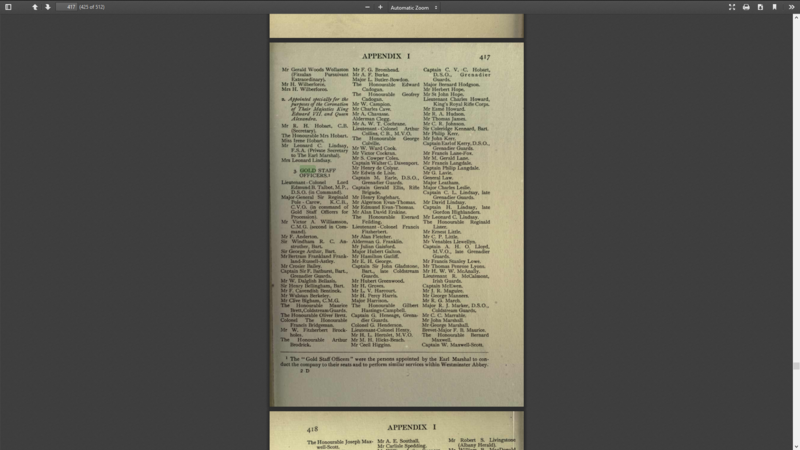 As you will see the reference and photo show that other coloured Staff were used by officers with other specific duties. The text is....". 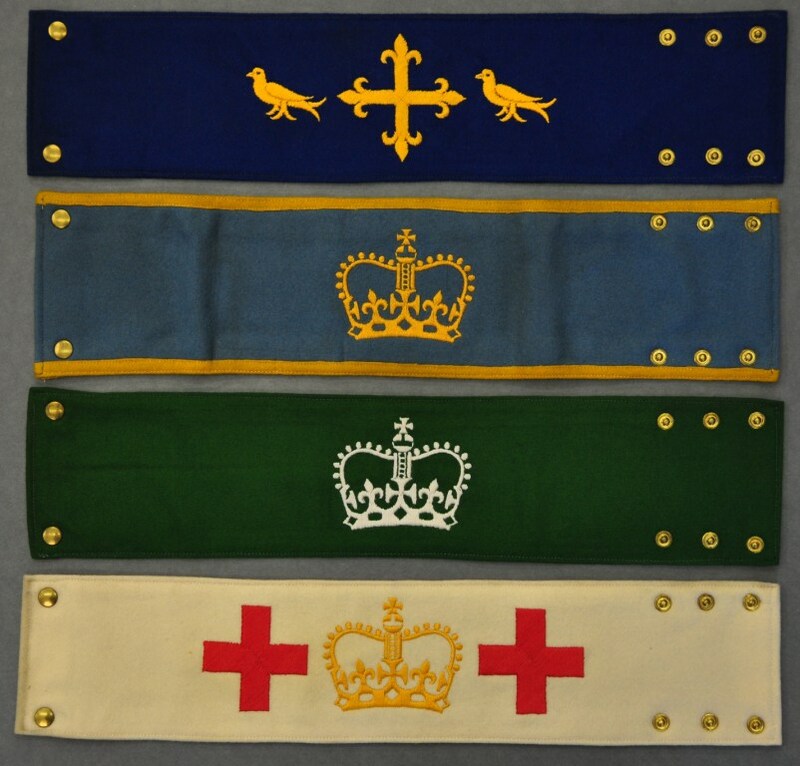 The arm brassards shown on the left were worn during rehearsals by (from top to bottom): Abbey staff; Gold Staff Officers; tailors and technical attendants; doctors and medical attendants.The congregation were marshalled and ushered in Westminster Abbey by Gold Staff Officers, and others had related responsibilities. They were marked out by the staves they carried. 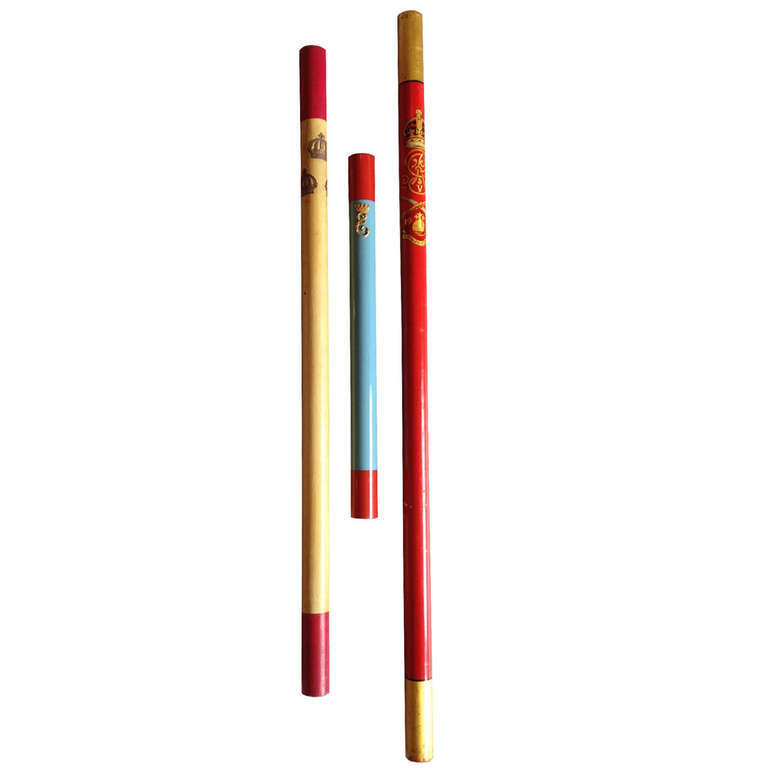 The Gold Staff Officers' staves were designed by the Goldsmiths' Company, following discussions between the company and the Earl Marshal's Office about aspects of their design and their cost. 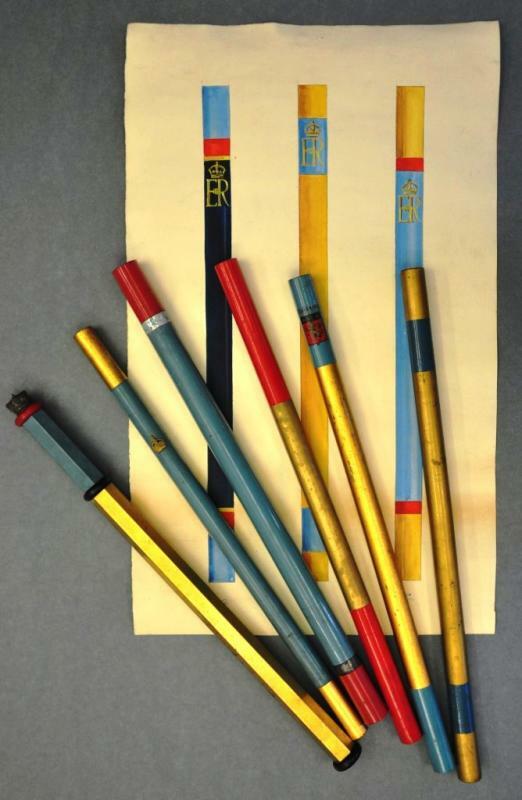 Shown here are drawings of designs for the staves of the Gold Staff Officers, alongside seven examples of different staves. Ross: Just bought these in December. The College of Arms tells me that the top one is most likely a Green Staff Officer's baton. 1911 Investiture of the Prince of Wales (First investiture ceremony held in over 600 years). Sadly, their information on the 1911 ceremony is light at best, so they couldn't tell me who the Officers were. Hi Ross, I have read your thread with interest and have uploaded a couple of photos of armlets from my RAF collection which you may find if interest. The inscription on the first photo is written on the lowest armlet in the second photo. the central armlet is that of a GVIR usher and used for ceremonial duties etc. The top armlet is, I believe, for the coronation of GVR but I am by no means certain. If you can advise me either to the contrary or confirm, I would be most grateful. They are a temporary appointment of Gentlemen who act as Ushers during the Coronation Ceremony in Westminster Abbey. 'temporary Gentlemen', of course, being the sneering description accorded war time commissioned officers by their long term, regular Army brethern. We miss both his eruditon and his wit! Hello both. I have not been on this site for some time and was saddened to learn of the passing of Mervyn. I have known Mervyn since about 1980, and often corresponded with him. In the old days this was by way of a pen, paper and envolope that you'd put a stamp on!!! Rest In Peace Mervyn. Fond memories of a kind and generous man. In answer to the two above items. I have only ever added one of these batons to my collections on the one occasion. I have not researched them or their useage and was only given information by Mervyn. As such, cannot add much about the baton or the brassards Im afraid. Recently found a George V 1911 Coronation staff at auction. Its dimensions and style match the 1911 Investiture staff I've had for the last couple years, complete with the metal rod at both ends. This is rather an old thread and Mervyn, bless his soul, has passed on, but I can identify your batons for you. All are absolutely genuine and certainly not modern spurious collector pieces. 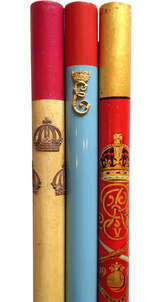 On the left you have an usher's baton from an early Order of the Bath investiture ceremony; in the centre an usher's baton from the 1947 wedding of Princess Elizabeth and Philip of Greece (Prince Philip to us now!) with a metal Princess' coronet surmounting her initial; to the right is a Gold Staff Officer's baton from the Coronation of King George V. All fine examples and scarce as well; I have examples in my collection, but it took some doing to find them. Thanks for your input on this thread. It's nice to see another baton collector. Would you have any thoughts on this piece I picked up at auction last year? 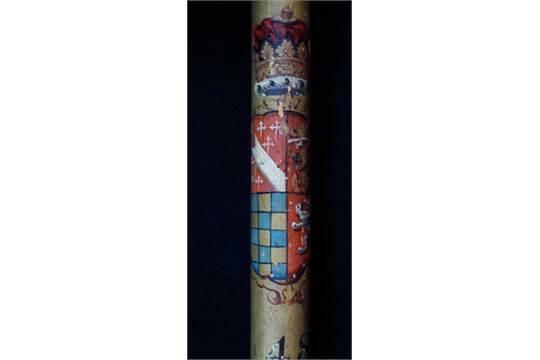 Duke of Norfolk's baton, gold with black ends, with 48 beneath his crest. I was told it was Victorian, possibly for a Coronation or Investiture ceremony. Just to keep up to date with current prices, this item hammered for £170 less commission. I wonder if it's the same one sold by Campbell Auctions in 2011. The estimate on that was £120 - 150, but I don't know what the hammer was. Unfortunately I didn't get chance to examine the piece at the viewing days, am collecting a few other pieces from them in the next few days so will try and make a few enquiries as to where it came from. Just to update this, no real surprises in that the Auction House were unable to help regarding the origin of this item. 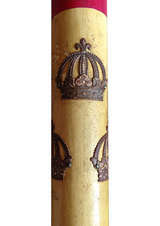 I can confirm this coronation baton from Edward VII's coronation is the same one sold at Campbell's in 2011. The scratches on the wood match exactly. There were 170 Gold Staff Officers at the coronation, and I now have a full list of those appointed.